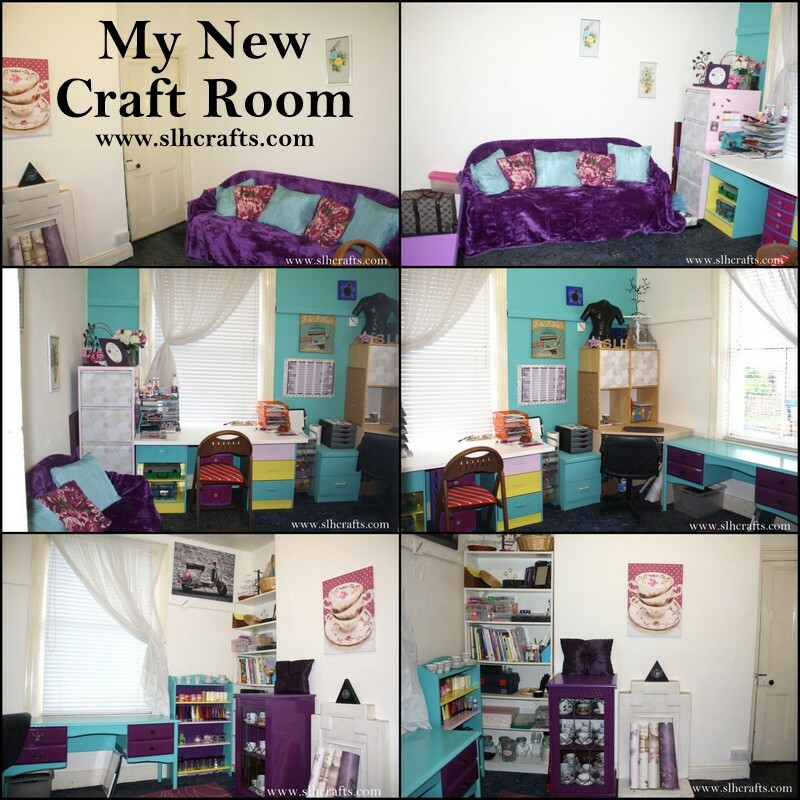 I have been so busy for the last month preparing my craft studio. 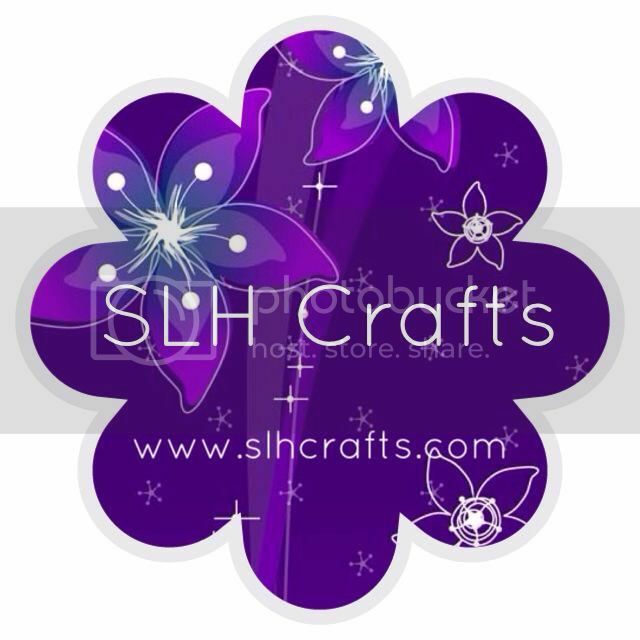 If you have been following my posts you will have seen my projects. I have been putting together desks and storage and doing a lot of painting including the walls. The walls were originally yellow with patches of other colours. I chose to paint 3 walls white and have a feature wall in Teal. I have done all this on a very small budget so most of the furniture has been donated or from charity shops at bargain prices. I still haven't finished the room as there are still a few other things I need to do including another desk to cover the fireplace but I am not going to rush this so I thought I would do a grand reveal now as so many of my followers have been asking to see the finished result. I really hope you like my room, I can't wait to start doing my crafts in this room. I tried taking photos around the room in a circle so that you can try to imagine looking at it all in one tour. Below is a collage of the before photographs. 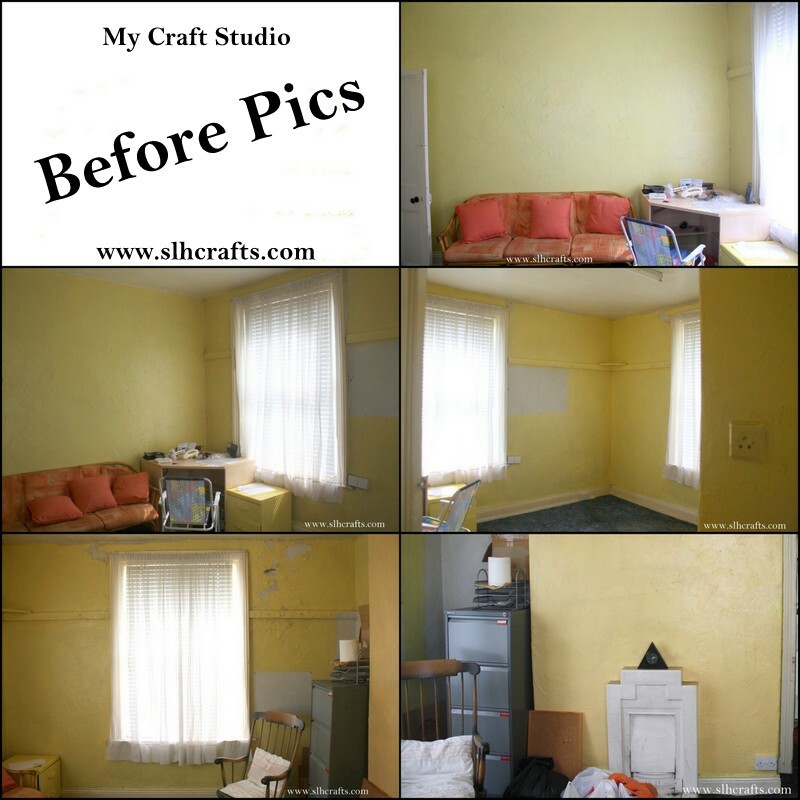 The now finished room photos. Please look at my previous posts to see the transformation take place.